Hello there. 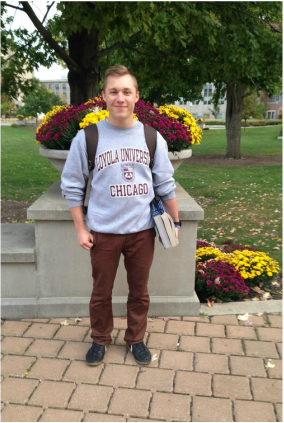 I am Evan Cudone, a Bioinformatics and Mathematics double major here in my third year at Loyola University Chicago. I enjoy playing the trumpet and french horn, am a part of the Loyola club soccer team, and working with computers. Much of my time goes into lab work as well as computational analysis of sequence data for bacteria and their antagonistic viruses, phages.